With all the interesting cars for sale around the web, you don't have to be a millionaire to buy them, but you might need Jay Leno's garage space to store them -- particularly if you like inexpensive oddballs that may sit for a month or a year while you wait for a custom made part (or the other remaining model to end up on co-part). However, if your collection includes those of the two-wheeled variety, you might be able to have your cake and eat it too. And by cake, I mean one-off rotary powered unicorn. 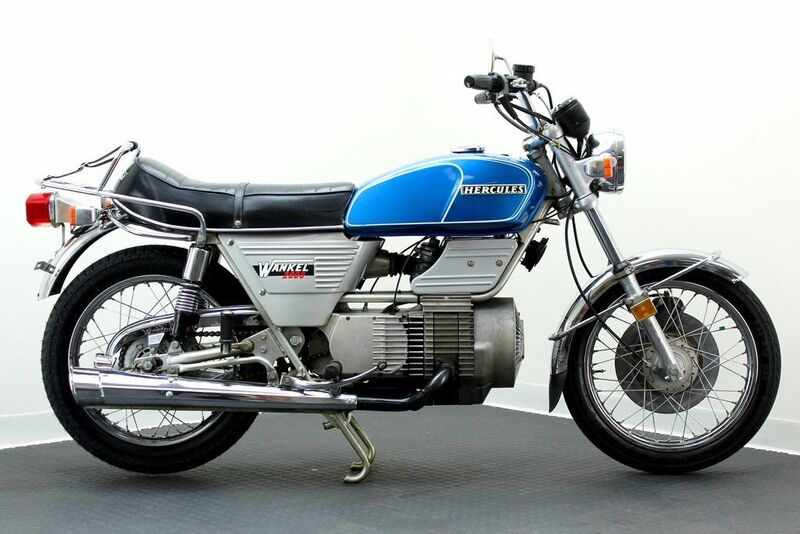 Find this 1976 Hercules Wankel W-2000 here on eBay bidding for $3,789 reserve-not-met with 5 days to go, located in Chicago, IL. Tip from Zach Z. On paper, the compact rotary power plant seems like a good fit for a motorcycle, and Fichtel & Sachs worked with their Hercules brand to launch the W-2000 in 1974. Rotary engines are known for their lack of low end grunt and questionable fuel economy -- both of which aren't deal breakers for a two wheeled machine -- so why is that Hercules (this thing), Norton (a few models like Interpool/Classic/F1) and Suzuki (RE5) the only firms to produce Wankel powered bikes and each was a sales failure? The W-2000 was the first rotary powered bike to hit the showrooms, and it was panned by the 2-wheel press at the time. Cycle World wrote: Less performance for more money takes this rotary out of the realm of practicality. Ouch. The longitudinally mounted two-rotor put 32 horsepower into a 90 degree bevel gear before heading to a transmission and chain drive rear. That isn't a bunch of power from a 294cc rotary, and performance for the 353 lb bike was mediocre at best with the 1/4 mile taking 16 seconds @ 80 mph. The early W-2002s (1585 to be precise) were built with gas/oil premixed in the tank, but this is one of the last 199 built with oil injection. 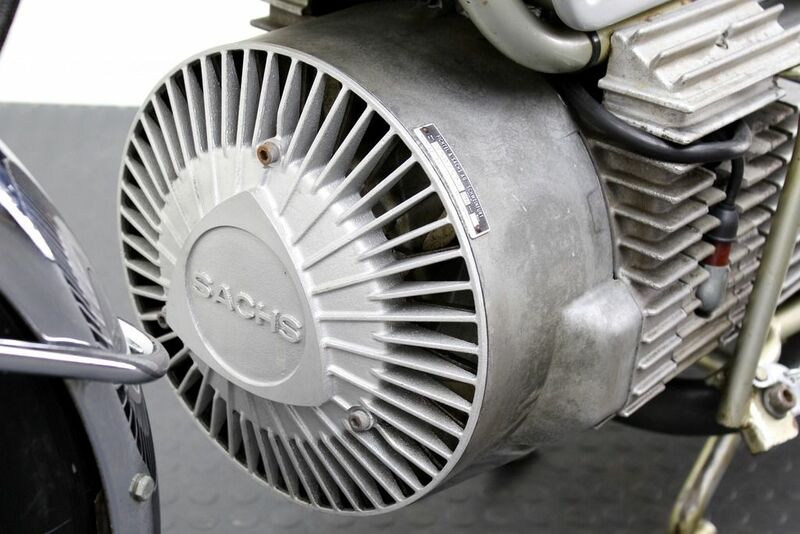 The oil is meant to keep those pesky apex seals from exploding around the next apex of your favorite turn, and all those cooling fins you see are to keep the notoriously difficult to cool Wankel below the smelting temperature of aluminum. 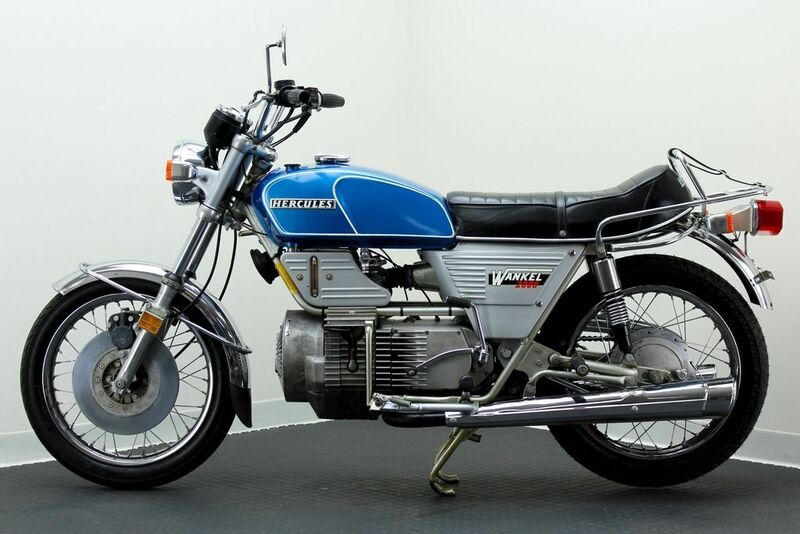 My favorite part about this entire listing has to be the scanned vintage Cycle World, Motorcyclist, & Rider magazine spreads the seller has provided. They shed some needed light on the dark history of Wankel powered motorcycles. Wow...third rotary in a row...must be something in the water. I knew someone that had a Suzuki rotary, he wasn't impressed with it's reliability. It just about bankrupted Suzuki. Wow, quite an off the wall find. 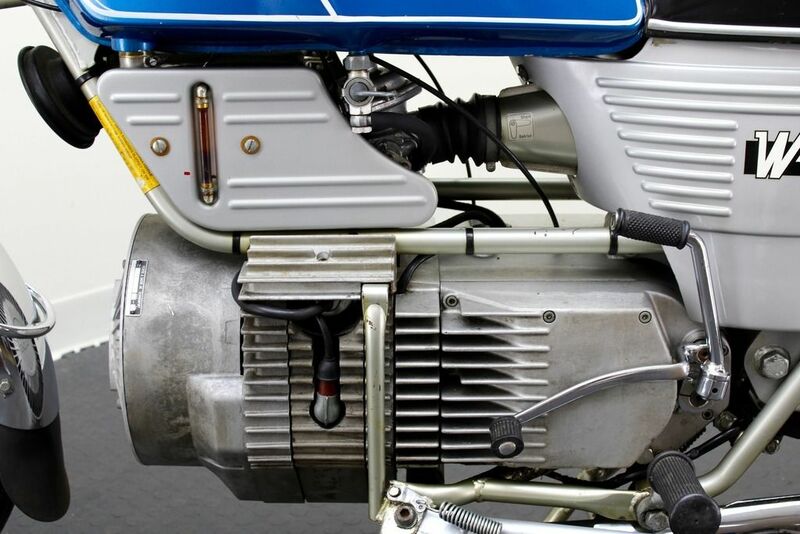 Love the look and lines of the motor and how it works with the rest of the bike... like something that would be used in the movie "Gattaca" or something. I could only imagine how hard it is to find replacement parts on this thing though. Oh, Gattaca, what a perfect automotive retrofuture you offer. At the time these came out there were so many other bikes to choose from that had more power those of us who tried them dismissed them. Looking back now all the bikes of that time are now under powered, have bad brakes, and flexible frames. Two things I remember most about this bike was the lack of a pleasing exhaust note and how it rotated around the motor when leaning it over. It was very easy to lean and pick up even though it is not a light bike.